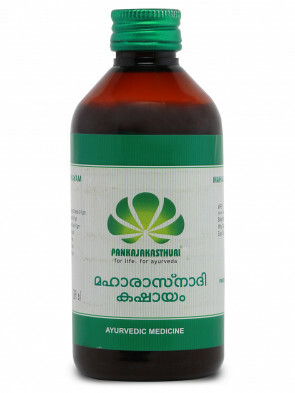 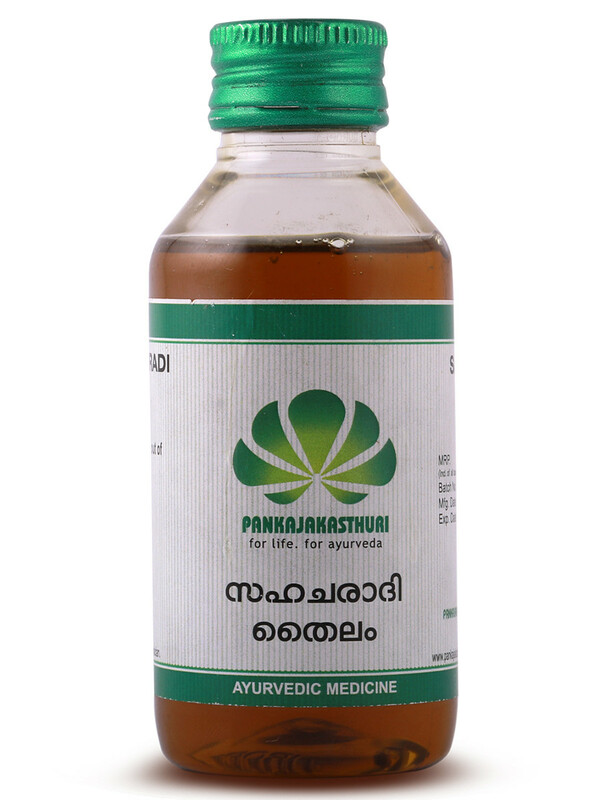 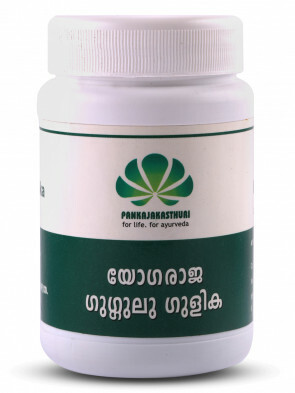 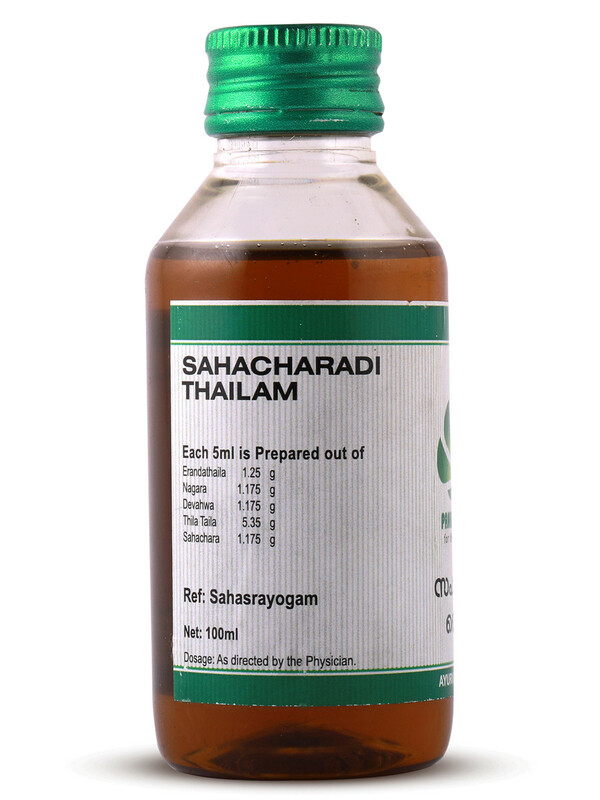 Sahacharadi Thailam is an all purpose Ayurvedic herbal oil. 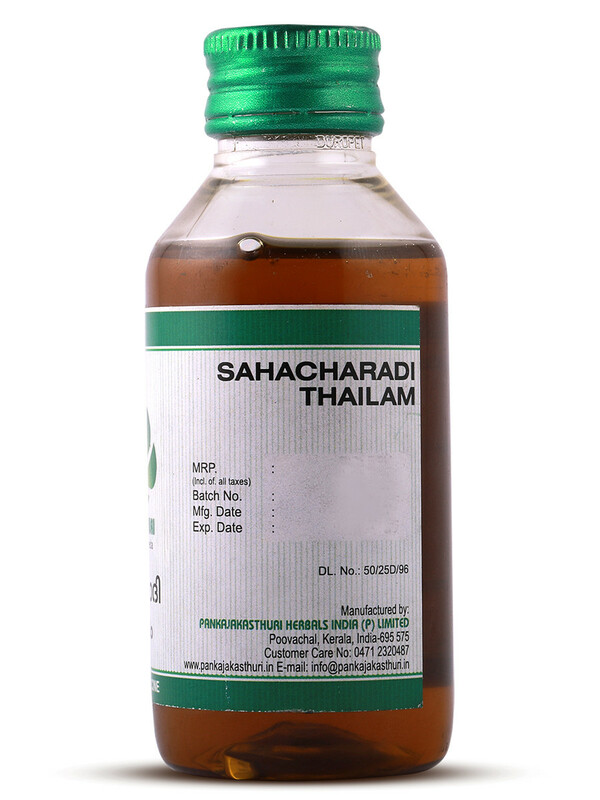 This oil with herb Sahchara as the major ingredient is effective in the treatment of rheumatic ailments and neurological disorders, especially those affecting the lower limbs. 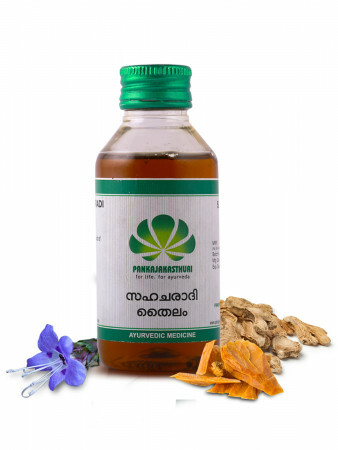 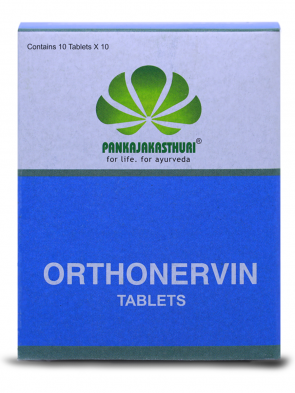 * It is used in treatment of Vata imbalance disorders, muscle and joint stiffness and convulsions.